At the University of Arizona College of Medicine – Phoenix, the Global Health Program exposes students to the primitive clinical and public health care due to the resource constraints typically found in developing nations. Students have the opportunity to apply their medical knowledge to health care situations around the world and to learn from colleagues and experts abroad in the fields of tropical medicine, nutrition and public health. These equal partnerships are aimed at promoting health equity here and abroad through the shared development of best practices. 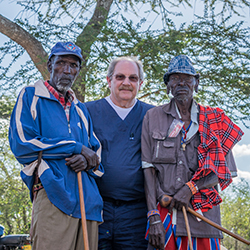 Students involved in the Global Health Program return better prepared to provide care to patients and communities in underprivileged countries. A “medical home” has been established between our College of Medicine and a site in the Dominican Republic that gives our students the opportunities to care for underprivileged Haitian refugees. By going there twice a year, the refugees are followed and cared for by having prior knowledge and documentation of their illnesses. COD in GH students are required to participate and if space is available, other first- and second-year students are invited to join. Summer 2019 Trip: May 24 – June 1, 2019. This is Element 5 of the Global Health Certificate of Distinction. You do not need to be a part of the Global Health Certificate of Distinction to participate in this elective. The requirement for the University of Arizona College of Medicine – Phoenix is that it is a rural or district hospital setting and that it is a primary care setting. If you want to go abroad to a developed nation or a tertiary care setting in a specific specialty in a developing nation, you can speak to Dr. Beyda about the specifics of allowing you to study abroad. Physician group raises awareness about ethics of transplant practices in China.